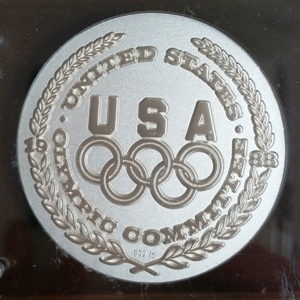 Commemorative coins have been a part of the Olympics in documentations dating back to 480 BCE. 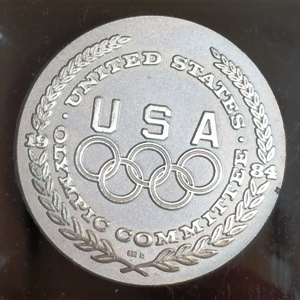 Back then the coins were used to allow patrons who were unable to attend the games to have a piece of the Olympics history. Now these coins are highly sought after by collectors and allow artists to create a tangible masterpiece that can be mass produced and in various metals. 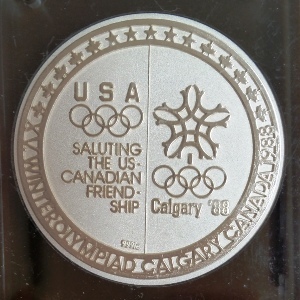 The very well known Salvador Dali had created coins for various other events before being prompted to create commemorative coins for the 1984 Los Angeles Olympics. Since he was not unfamiliar with the process, it is no surprise that the coins are well thought out and use the full space provided. Below are the three different images featured on the backs of the coins with their specific year.